Analysts’ opinions shape the most authoritative discussions in the technology and telecoms industries, both online and offline. That’s why analyst relations should be an essential element of both B2B and B2C marketing. Sadly, the profession of analyst relations is struggling because both analyst relations and influencer marketing approaches have not been well enough connected to lead generation. We need to evolve and to keep our place in the development of marketing communications. Analyst relations teams are being increasingly stretched by analysts’ demands. We are working more reactively than proactively. In many firms, AR is retreating to its comfort zone traditional core: increasing the volume of information dissemination to improve analyst coverage and (hopefully) test messages. Influencer50 exemplified early influencer relations strategies. It maps the influencer landscape through something like social network analysis. Social media complicates this task, since its ease of availability can push firms towards monitoring, and taking part in, only the online conversation: influencers’ personal opinions are often made, and reflected, offline. Heidi Schall showed in Social Media in Influencer Relations how the growth of social media has amplified the role of analysts and placed them centrally in the influencer landscape. Star analysts have strong personal brands and more vibrancy than impersonal corporate brands. The analysts’ use of social media allows them to grow from being trusted advisors to also a dominant driver of online conversations. While Schall is entirely correct, I think the challenge is that AR has more to learn from content marketing than from influencer relations. AR teams need to focus more on the real outputs of the analysts’ work and to see how that content can be used to generate conversations. 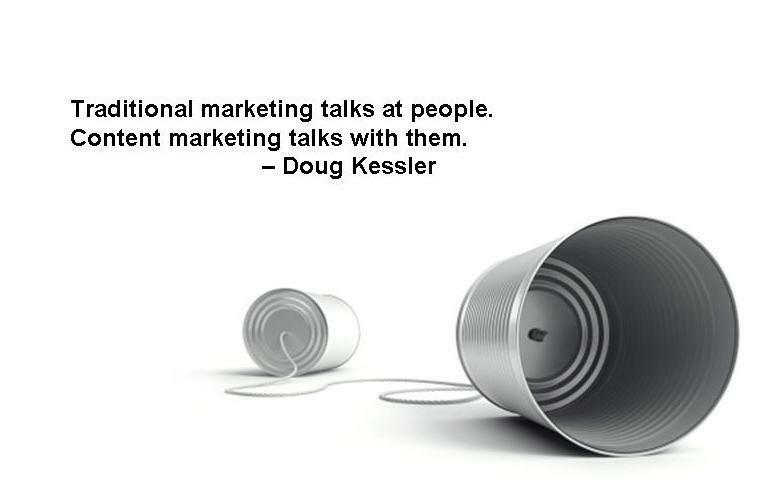 As Doug Kessler says: traditional marketing talks at people; content marketing talks with them. This entry was posted in 6. Features, Develop AR. Bookmark the permalink. Direct tie-ins between analyst relationships and lead generation is a bad idea, in my opinion. My job as an analyst is to inform on what’s happening in the market, not to send end users to any specific vendor. But knowing that analysts are associated with lead gen in some areas, we’ve completely decoupled the marketing services and lead gen aspects so that we can just analyze. It works out much better that way; lead gen and qualification focuses on content-driven marketing and we focus on end users, data and writing. Hi there Hyoun. Thanks for the comment. My article is about tying Analyst Relations into lead gen; that’s not the same as saying that analysts should be generating leads more or less. For example, vendors can license the outputs of analysts and make it available for download: that generates leads. We can also work with some analyst firms’ consulting businesses on that. For example, we could commission research from IDC, and then offer that to a cold mailing list along with an invite to an event: that also generates leads. Duncan, I understand what you mean. I came to my current analyst firm, Aberdeen, because it has been taking this approach of content distribution and campaign enablement for years. My vendor clients have a separate business development rep assigned to them solely to manage demand generation campaign aspects and to align their campaigns to the millions of contacts that our parent company, Harte-Hanks, has identified. For AR to really have a seat at the table at demand generation, AR personnel need to be savvy regarding demographic targeting, the various roles that content plays within multi-touch campaigns, when to use and when to avoid both social and rich media assets, interactions with both direct and indirect field marketing programs, and quantitative data for conversion rates. From my experience over the past four years, AR conversations about lead generation have largely focused on determining which analysts are most “influential” from a qualitative perspective rather than figuring out what types of content actually provide effective results. There’s nothing wrong with determining that form of influence as it is quite important from a strategic and consulting perspective, but analyst influence vs. content efficacy is often an apples to oranges comparison which leads to mismatches. I’d love to discuss the relationship between AR and lead gen further either on or off-line as I believe that this era of content marketing is tailor-made for AR to become more influential, but that this shift will require AR to also become much more quantitative. It’s a very interesting challenge to meet, since AR has traditionally been such a qualitative and messaging-based role. Yes, I agree with you: AR people are not getting the balance right. We put a lot of emphasis on analysts recommending brands directly to their clients and, of course, that’s important. But there’s also a opportunity for AR to feed into lead generation (perhaps folk will prefer to call it influence marketing or content marketing). This would be a great topic to discuss and perhaps turn into a podcast.